Legit ballads are a crucial component of many musicals, yet students can struggle to find and control the classic sounds required. 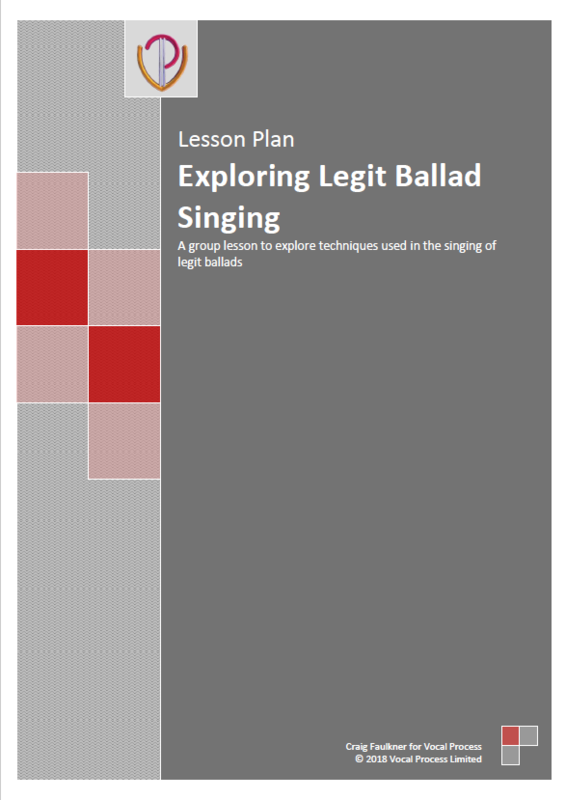 This structured Lesson Plan, created by Vocal Process Accredited Teacher Craig Faulkner, takes you step by step through finding thinner vocal folds, appropriate breath flow and legato line for legit ballad singing. Use this Lesson Plan together with Jeremy's ebook How To Sing Legato (Amazon no 1 bestseller) for a comprehensive guide to teaching legato line. Add this Lesson Plan to your cart now and use it in this week's class!